Japanese New Year, we have New Year decoration which is called KADOMATSU. Kadomatsu is set in front of entrance. God is in the Kadomatsu. However, it is not easy to see the decoration at any houses. Last weekend, I have tried to make the Kadomatsu. Most of parts are surrounded by bamboo. 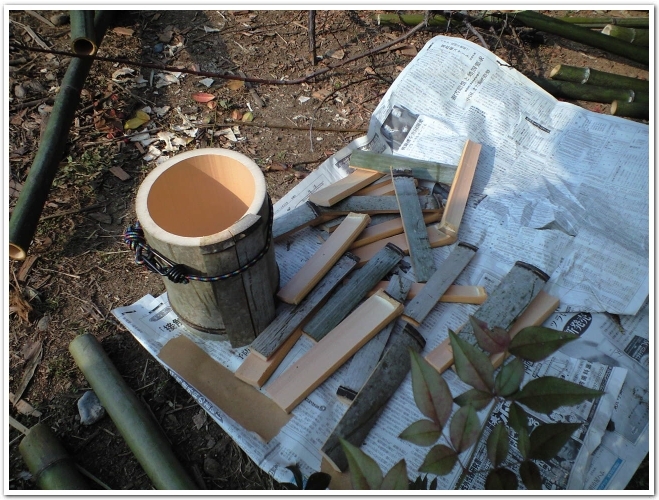 After bamboo pasts are done, some decorations are needed such as Japanese plum, pine and nandin. The pine locates in left side of plant. Nandin has red small berry. The nandin locates in front. It took more than 3 hours to make. Most of parts are ready to use. So, if you don’t have any preparation, you need more time. It was great experience.